UFC 236 PPV event went down this past Saturday from Atlanta Georgia. Main and co-main event delivered fireworks as Dustin Poirier outstrikes Max Holloway after five rounds of intense action, captures a UFC interim lightweight title while Israel Adesanya defeated Kelvin Gastelum to scored an interim middleweight title in a “Fight of the Year” candidate. After the conclusion of this event, betting odds have surfaced for potential title unification bouts and possible future matchups like Brock Lesnar vs. Daniel Cormier. 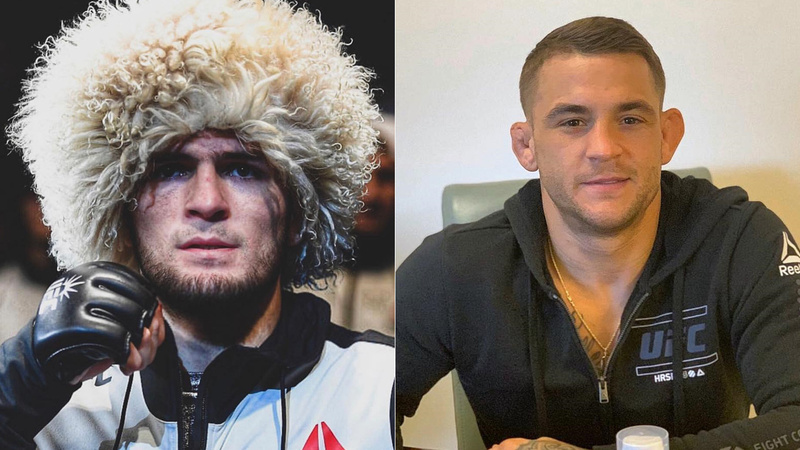 Khabib who’s currently on sidelines serving UFC 229 post-fight brawl suspension previously said that he’d go one to take on the winner of Holloway vs. Poirier. After the fight, Russian congratulated Poirier on his win and said see you in September. Nurmagomedov opens a betting favorite with a mark of -250 over Dustin who’s open as an underdog +210. To remind you ‘Diamond’ was underdog heading into his fight against Holloway. Reigning middleweight champion Robert Whittaker who’s healing up from recent surgery opens as a favorite with a mark of -155 against undefeated +135 underdog Israel Adesanya. Current UFC heavyweight champion Daniel Cormier said he’s few fights left in him before he hangs his gloves for good and he wants a high profile fight against WWE star Brock Lesnar who recently lost a title at WrestleMania 35. The betting site gives Cormier a -325 betting favorite and +275 to Brock Lesnar who last fought at UFC 200 when he scores a unanimous decision over Mark Hunt however the results overturned to a no contest (NC) after it was revealed that Lesnar failed a drug test.